Why Is the Book of Mormon So Focused on Jesus Christ? Readers unfamiliar with the Book of Mormon are sometimes surprised to find how much, from the beginning to the end, the book is about Jesus Christ.1 It is an ancient record whose stated purpose is to convince all people “that Jesus is the Christ, the Eternal God, manifesting himself unto all nations” (Title Page). Moreover, its prophetic writings were commissioned by Jesus Christ Himself to teach His true doctrine and to testify of His reality, divinity, and saving messianic mission. El guardian by Jorge Cocco. The Book of Mormon is a collection of ancient records created, compiled, and abridged by holy prophets.2 Rather than simply telling about the past experiences of their people, these inspired prophets always carefully selected and presented historical material in a way that would build faith in the Lord Jesus Christ. For instance, concerning the general purpose of his record, the prophet Nephi explained: “I do not write anything upon plates save it be that I think it be sacred” (1 Nephi 19:6). On another occasion, Nephi declared, “And we talk of Christ, we rejoice in Christ, we preach of Christ, we prophesy of Christ, and we write according to our prophecies, that our children may know to what source they may look for a remission of their sins” (2 Nephi 25:26). Doctrinal discourses from various prophets are frequently interspersed throughout the Book of Mormon’s historical narratives. These teachings also often center on Jesus Christ and His Atonement. In many cases, it is clear that the inspired selection of historical content was meant to add context and meaning to these Christ-centered sermons.8 These discourses provide the intricacies that explain who Jesus Christ really is and what it means to have authentic faith in Him. They also establish the nuances of Christ’s true doctrine and clarify the nature and purpose of His commandments. The Book of Mormon speaks volumes about Jesus Christ for many reasons. First and foremost, its early writers experienced dreams, visions, and revelations that taught them about the identity, character, and importance of Jesus Christ. They understood plain and precious things that were obscured or lost in the surviving biblical texts. These prophets knew the Lord by over seventy names and titles: Messiah, Redeemer, Holy One of Israel, Jehovah, Savior, Shepherd, Son, the Lord of Hosts, the Lord God Omnipotent, and many more.9 This power ultimately comes from Jesus Christ Himself, for Mormon taught that “every thing which inviteth to do good, and to persuade to believe in Christ, is sent forth by the power and gift of Christ” (Moroni 7:16). With all these considerations in mind, it is little wonder that the Book of Mormon is all about Christ. It is only through Christ that we can be saved and exalted. It is only through Christ that we can be resurrected. It is only through Christ that we can have true peace and happiness in this world and in the world to come. His life and mission are central to God’s purposes for each and every one of His children. As we “drink deeply and often” from the pages of the Book of Mormon, we will more fully recognize and appreciate Christ’s central role in God’s plan.11 We will understand what we must do to follow Him. And we will find greater spiritual strength to do so. Russell M. Nelson, “A Testimony of the Book of Mormon,” Ensign, November 1999, online at lds.org. Robert J. Matthews, “What the Book of Mormon Tells Us about Jesus Christ” in The Keystone Scripture, Book of Mormon Symposium Series, Volume 1, ed. Paul R. Cheesman (Provo, UT: Religious Studies Center, Brigham Young University, 1988), 21–43. Gilbert W. Scharffs, “Unique Insights on Christ from the Book of Mormon,” Ensign, 1988, 8–12, online at lds.org. 1. See Russell M. Nelson, “A Testimony of the Book of Mormon,” Ensign, November 1999, online at lds.org. 2. See John L. Sorenson, “Mormon’s Sources,” Journal of the Book of Mormon and Other Restoration Scripture 20, no. 2 (2011): 2–15. 3. Mormon did this by frequently inserting his own commentary, often beginning with “and thus we see,” to help drive home the spiritual lesson he hoped readers would pick up from the reported history. See Alma 24:19; 28:13–14; 30:60. For additional analysis of Mormon’s commentary, see Grant Hardy, Understanding the Book of Mormon: A Reader’s Guide (New York, NY: Oxford University Press, 2010), 97. See also, Book of Mormon Central, “What Was Mormon’s Purpose in Writing the Book of Mormon? (Mormon 5:14),” KnoWhy 230 (November 14, 2016). 4. See Richard Dilworth Rust, “‘All Things Which Have Been Given of God . . . Are the Typifying of Him’: Typology in the Book of Mormon,” in Literature of Belief: Sacred Scripture and Religious Experience, ed. Neal E. Lambert (Provo, UT: Religious Studies Center, Brigham Young University, 1981), 233–244; Robert E. Clark, “The Type at the Border: An Inquiry into Book of Mormon Typology,” Journal of Book of Mormon Studies 2, no. 2 (1993): 63–77; S. Kent Brown, “The Exodus Pattern in the Book of Mormon,” in From Jerusalem to Zarahemla: Literary and Historical Studies of the Book of Mormon (Provo, UT: Religious Studies Center, Brigham Young University, 1998), 75–98; Noel B. Reynolds, “The Israelite Background of Moses Typology in the Book of Mormon,” BYU Studies 44, no. 2 (2005): 5–23. 5. See Alma 36:6–24; Mosiah 27:8–31. See also Book of Mormon Central, “Why Was Alma Converted? (Alma 36:21),” KnoWhy 144 (July 15, 2016). 6. See John L. Clark, “Painting Out the Messiah: The Theologies of Dissidents,” Journal of Book of Mormon Studies 11, no. 1 (2002): 16–27, 107–108; John W. Welch, The Legal Cases in the Book of Mormon (Provo, UT: Brigham Young University Press and the Neal A. Maxwell Institute for Religious Scholarship, 2008), 107–138, 211–236, 273–300; Gerald N. Lund, “An Anti-Christ in the Book of Mormon—The Face May Be Strange, but the Voice Is Familiar,” in The Book of Mormon: Alma, the Testimony of the Word, ed. Monte S. Nyman and Charles D. Tate Jr. (Provo, UT: Religious Studies Center, Brigham Young University, 1992), 107–128. 7. See Book of Mormon Central, “What Does it Mean to ‘Prosper in the Land’? (Alma 9:13),” KnoWhy 116 (June 7, 2016); Book of Mormon Central, “How Is Prosperity Defined in Nephi’s Small Plates? (Words of Mormon 1:6),” KnoWhy 383 (November 21, 2017); Book of Mormon Central, “How did the Nephites Become Weak in Such a Short Time? (Helaman 4:25),” KnoWhy 175 (August 20, 2016); Book of Mormon Central, “How did the ‘Pride Cycle’ Destroy the Nephite Nation? (3 Nephi 6:10),” KnoWhy 195 (September 26, 2016). 8. For instance, the information given about weights and measures in Alma 11 provides important context for Amulek and Zeezrom’s debate about Jesus Christ. See Book of Mormon Central, “Why Would Zeezrom Attempt to Bribe Amulek? (Alma 11:22),” KnoWhy 118 (June 9, 2016). 9. John W. Welch and Gregory J. Welch, Charting the Book of Mormon: Visual Aids for Personal Study (Provo, UT: FARMS, 1999), charts 44–47. Behind all these names stands the one name and the only God through whom one can pray, worship, and come unto the Father—Jesus Christ. Later Book of Mormon writers knew of the fulfillment of the promises and prophecies of the earlier generations of Nephite prophets. 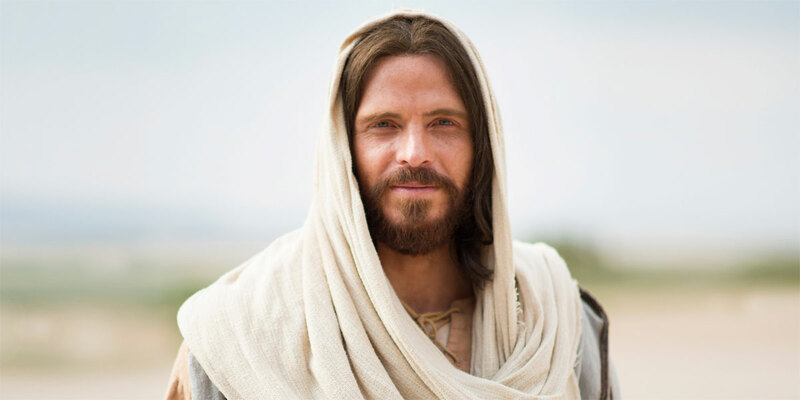 Knowing especially how the resurrected Lord appeared among the Nephites, Mormon and Moroni were able to select and shape the final text of the Book of Mormon to rightly emphasize Jesus as its principal figure. Better than any other book, the Book of Mormon shows how Jesus Christ’s infinite Atonement plays a central role in God’s plan of redemption. As the prophet Jacob declared, “for why not speak of the atonement of Christ, and attain to a perfect knowledge of him, as to attain to the knowledge of a resurrection and the world to come?” (Jacob 4:12). The Book of Mormon also helps us understand that it is not enough simply to learn about Jesus Christ. Instead we must also “come unto Christ, and be perfected in him” (Moroni 10:32). In other words, we need to build a relationship with Him by keeping His commandments and striving to follow His example. The Book of Mormon’s many faith-filled stories about real individuals and the historical details of their lives help us see how to set the gospel into practice. In a way, the Book of Mormon’s steady and consistent focus on Jesus Christ is the essence of its own distinctive message. The world is filled with endless distractions. We are constantly bombarded by information and messages that can lead us away from truth and happiness. Yet as we open the Book of Mormon, almost at any spot, its pages immediately reorient us towards Christ-centered thoughts and actions. It helps any willing soul keep the sacred covenant to “always remember him, that they may have his Spirit to be with them” (Moroni 5:2). As we allow the book’s thematic message about Jesus to resonate within us, it becomes a conduit for personal revelation and spiritual power. “When I think of the Book of Mormon,” taught President Russell M. Nelson, “I think of the word power. The truths of the Book of Mormon have the power to heal, comfort, restore, succor, strengthen, console, and cheer our souls.”Russell M. Nelson, “The Book of Mormon: What Would Your Life Be Like without It?” Ensign, November 2017, online at lds.org. 11. Henry B. Eyring, “A Witness,” Ensign, November 2011, online at lds.org.